Personal care on a HOT scene is important, and with all our cooling equipment, you can make sure you and your people stay safe and cool. Maintaining a safe core body temperature helps keep you stable and healthy, able to keep yourself top notch so you can stick to the real reason you're around, to save and protect. So check out a few of these great cooling products we have on our site and consider adding them to your rehab equipment and insure the safety of your firefighters. 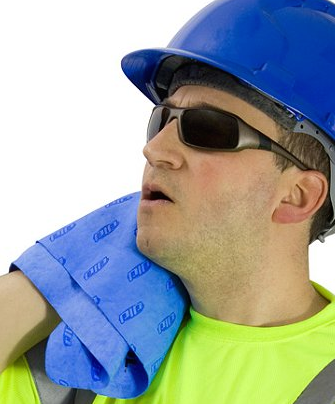 From our site, "Numerous studies, such as those done by NASA- When external temperatures are too severe, or evaporation is hampered by dehydration or restrictive clothing, the results are more likely to be severe heat stress, cramping, heat exhaustion, and even heart attack. Plus it rapidly reduces brain function—including the ability to reason and make the quick, correct decisions so critical to survival in a dangerous situation." This is why rehab products such as the ones below are so vital to have on hand in extreme situations. 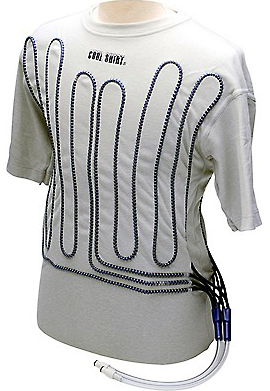 A CoolShirt System is the only active cooling system designed to protect against heat stress by cooling the body's core temperature. It will help keep you focused, alert and able to maintain your level of performance. 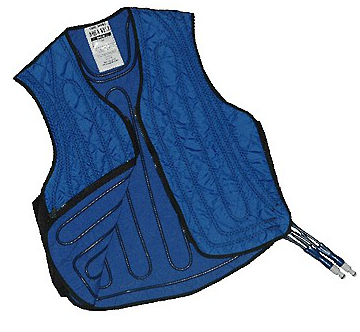 Find these and other cooling apparel and cooling systems on our website here! Be sure to check our line of hydration items while you're at it, too. Don't forget to KEEP COOL!